Sorry, Bill. Thanks for all of your work with this site. Love it! Bring it!! Thanks... on both counts. Of course everyone that participates on here really makes the site. NWS is very depressing in their 2:01 discussion. Yikes!! Bill my condolences on your lost,its always tough to loss a family member,but especially tough around the holidays,at least you will have the memories of Eddie with you always. Bill: My condolences, as someone that has had to put a couple of pets down, I understand your pain. I wondered why you didn't put out a winter forecast based on the shedding pattern of the official TMF dog, now I know why. Of all the winter forecast's that were put out last year, yours seemed to be the most accurate, so in honor of the official TMF dog, here is what was posted on Oct 29th 2011. 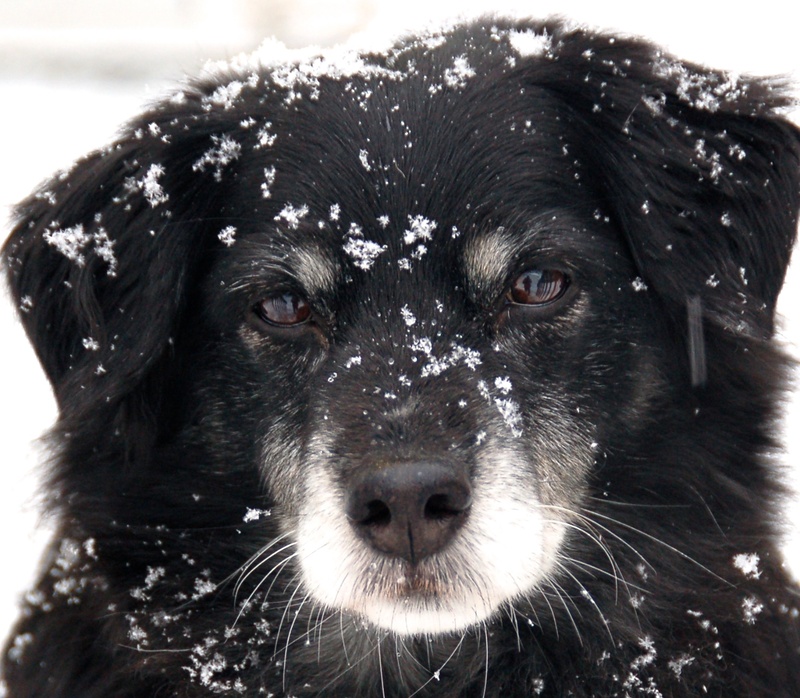 "Minnesota Forecaster, whose predictions are based on the amount of shedding experienced by the family dog, predicts temperatures averaging .6 degrees above normal with seasonal snowfall of 43.1 inches breaking down as follows: October: 0, November: 4.1, December: 10.7, January: 9.2, February: 4.1, March: 11.2 inches, April: 3.8." So nice, Randy. I guess he retired on top. Bill, my wife and I extend our condolences to you on the loss of Eddie. We know firsthand what a terrible and painful feeling that is. We had to put down our 18 1/2 year old cocker spaniel. Pets are not just animals. They are family members. Wow, 18 and 1/2. That's amazing! Thank you for your thoughts. By the way, you might appreciate knowing that he was named after Eddie Murray. My dog was equally unfriendly to the media as Eddie Murray but had a long, consistently solid run in the same fashion. Ah, good ole number "33". I am very happy to learn that Eddie had a nice, long and successful run just like his namesake. It sounds like your Eddie was a Hall of Famer too! To Sam G in response to your post from the previous thread, that was in response to my forecast for the rest of winter. First of all thank you for your feedback it was appreciated. A long term forecast is always subject to changes as time goes on, only a stubborn forecaster would hold onto to his or her forecast in the face of changes that are evident, the only forecaster that holds onto his original forecast (that I know of) come H**l or high water is a certain personality that used to sit at the ACCU weather long range desk. Now as far as my comment for March here is what I said.
" Could March bring us a couple of major winter storms around tourney time that we are famous for, but few of us remember? Stay tuned, I think so." Here is how you changed it. " "a couple of major winter tourney time storms will occur" "
If you continue to put words in my mouth that I did not say, I will have no other choice but to ask the Administrator to ban you from posting comments on this site. Have a merry Xmas and a good New Year. @Randyinchamplain my intent was not to upset you,and for that I apologize,I enjoy reading your posts and like I said before you are pretty knowledgable.But I respectfully disagree that I put words in your mouth,I ask you if YOU believe that something will occur(when you ask yourself a question about March snowstorms and answer you think so)then doesn't that mean according to what you believe it will happen. Merry Christmas everyone, no arguing over weather. It's out of our collective hands. But it sure is fun. First Bill, I am sorry to hear about your dog. Iknow how it feels to lose a beloved pet. I once had a dog named Tipper. She was the most gentle dog I have ever known to exist. She would never chase the cat or the chickins, and she never barked. She got her name from when she tipped over a bottle of booze sitting on the counter that my father put there. She lapped it all up, and my parents figured out what happened to the bottle when they realized that Tipper seemed to be coordinating herself very poorly around the house, bouncing into the walls, the chairs, and even burning herself on the fireplace. Anyway, Merry Christmas, everyone, and a happy new year. Ha. That's pretty funny! Thanks for your thoughts. Now I'm thinking maybe my next dog should have a weather name. Maybe something like Dewpoint. "Dewpoint, come! Dewpoint, sit!" NWS issuing a bold statement for friday: Measurable Snow expected. Both of the major models (GFS ECMWF) show little, if any precip. Most the lesser models have some accumulations, with the NOGAPS being particuallary agressive. Those include JMA NOGAPS, GEM, NAM. Jury still out on UKMET. This is because of the cold airmass that is going to be in place. When temps are like this at the surface and aloft they are prime for snow making. It would be an example of a low QPF/high ratio event where even .05 inches of liquid could drop an inch of snow. The fact that the inverted trough kind of sticks could mean the snow sticks around for a bit. Long duration, low accumulation event. Nothing to write home about, but nice to watch falling outside your window. Sorry to hear about your pup Bill. Never easy losing a pet. I think I like the name Dewpoint...or maybe Meso? Merry Christmas and Happy Holidays to all,hoping after this cold and dry spell Mother Nature can deliver us snowlovers a snowstorm to track in our neck of the woods. @Bill if your taking suggestions for a new name how about Arctic! QPF is low with the disturbance for later this week, but like Duane says, snow making temps are good. Combine this with a subtle mid-level low that tracks across the Upper Midwest and a favorable SW flow means we all should be looking forward to later this next system. I'm pretty confident that much of MN will receive an accumulating snow event Late THUR into FRI. If we can squeeze-out even .20 of liquid, that will fluff up to 3"-5" of snow in this dry Arctic airmass. It is nice when you don't have to worry about precip. type. Bill, sorry about your pup, I know this little guy meant a lot to you. A good 3 inches of fresh powder in Rosemount. It's still snowing steadily with no wind. The trees are covered in a blanket of white again. The snow piles are freshened up and clean. It is a very calm and beautiful winter scene outside this morning! Just about 2" in Golden Valley,nice to see everything covered in fresh white again......think I'm taking the kids tubing this weekend,perfect conditions! Looks to me as we head into the second week of January,we may start to see more action around here,storm track/jet stream moves back north and temps move closer to freezing..........I'm no MET,but Novak,Duane,Randyinchamplain can you shed more light on this? Well, I'm not met either but I was going to comment on that eventually. There do appear to be some changes coming as we get into the month of January. I have very limited knowledge when it comes to oscillations and how they all affect each other but my uneducated guess would be that they are heading into a pattern where there is more troughing in the west and ridging in the east. That is typically a good pattern for us to get storms. The arctic oscillation is supposed to go way way positive, so it will be interesting to see how the polar jet reacts, and how much we actually do warm up with such an extensive snow pack across the US. We usually do have some type of January thaw, so a few days above freezing wouldn't surprise me in the least. The big thing I am watching (and again, have very limited knowledge of) is a strat warming event that could get going over the north pole. These type of events usually lead to some pretty big cold outbreaks across the US (yes, including here). Models have been showing this to occur as we head into the first week of January, and there is usually about 3 to 4 weeks of lag time before we see the effects. This could mean a very bitter end to January/start to February. Again my knowledge on this is really limited so this is as uneducated of a guess at it gets. For now, enjoy the snow globe that we seem to be in. I agree with some of what Duane has said, especially the cold pattern setting up late Jan through Feb. However I'm not sold on the Jan thaw. I am currently working I my thoughts for Jan/Feb. One of the analog years I really like is 1966, once I gather all the info and blend into what is happening this year I will post more. With some of these small events, sometimes we don't realize just how well it was forecasted. The track and totals were nailed on about 4 days ago. Indeed, the models.... err, I mean, forecasters, have done well lately. On 12/21 I posted that cold,dry,and boring weather will rule MSP for 10 days,and minus 2" of fluff that's exactly what happened,with the tenth day tommorrow,here's how the next 10 days look "Not as cold,dry and still boring,enough said! @Hammer disappointed your active storm track didn't resume Christmas week! @Sam G.,that's alright I don't care for these single digits/teens and below zero temps anyhow........I would prefer just cold enough temps to create snow,if it were 25-32 degrees everyday of the winter that's okay in my book,cold enough for snow and warm enough not to dress in 3-4 layers and worry about if the kids have all the proper winter gear when they head out.I do agree boring is the word in the weather department until further notice.